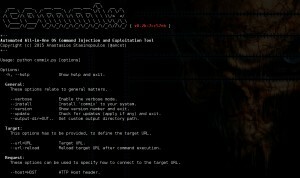 Browse: Home / Commix v1.0 – Automatic All-in-One OS Command Injection and Exploitation Tool. * Revised: Time-relative statistical analysis for recognition of unexpected time delays due to unstable requests. * Added: A list of pages / scripts potentially vulnerable to shellshock. 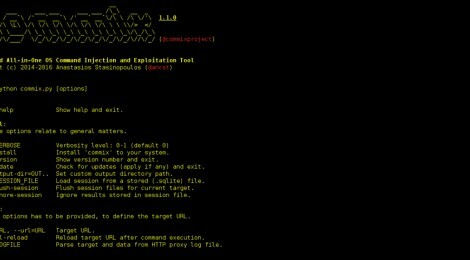 * Added: The ability to check if the url is probable to contain script(s) vulnerable to shellshock. * Revised: Multiple eye-candy revisions have been performed. * Fixed: HTTPS requests fixation, if the “–proxy” option is enabled. * Fixed: Multiple fixes regarding the shellshock module have been performed.